J. J. Guth, MD, a Marion-based orthopedic surgeon with the Stryker Mako Robotics. OhioHealth Marion General Hospital is now offering robotic arm assisted surgeries. 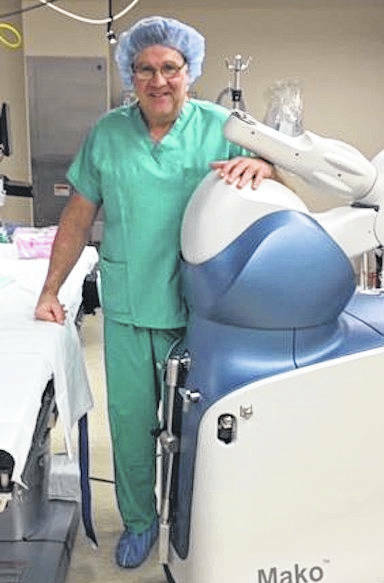 MARION — Through a new partnership with Stryker Mako Robotics, OhioHealth Marion General Hospital is now offering robotic arm assisted surgeries. The new technology is expected to enhance surgical precision and speed patient recovery times for total and partial knee replacement surgeries. With more than 150,000 Mako Robotic Arm assisted surgeries performed across the United States, the procedure is a proven technology. Its consistent, submillimeter accuracy has driven reproducible clinical outcomes for more than 434 other locations across the nation, including at OhioHealth Mansfield Hospital. To learn more about OhioHealth Marion General Hospital, visit www.ohiohealth.com.